The Mystic Whaler offers a destination venue close to home. The schooner allows you to truly enjoy your guests, in a beautifully intimate setting. 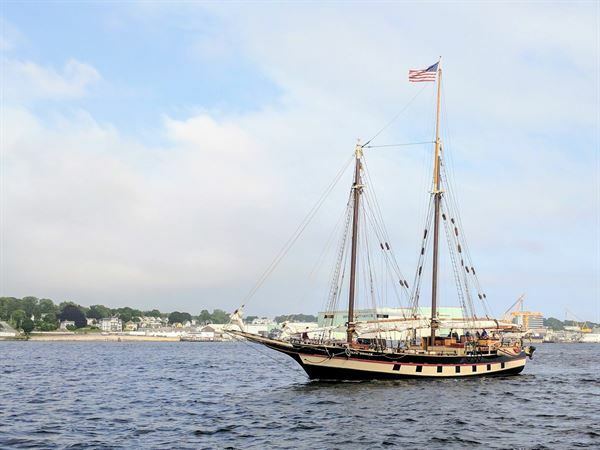 The Mystic Whaler has been chartered for weddings, rehearsal dinners, client appreciation events, family reunions, alumni events, school groups, anniversary parties and birthday celebrations. The schooner accommodates up to 52 guests for 3 to 6 hour cruises and up to 31 guests for overnight cruises lasting a minimum of 2 days.